Dr. Paul Kaplowitz graduated from the University of Chicago in 1976 with an MD and PhD, and did his residency and fellowship training at the University of North Carolina. From 1982–2003, Dr. Kaplowitz practiced medicine at the Virginia Commonwealth University in Richmond, VA. In 2003, he became Chief of Endocrinology at Children’s National Health System in Washington D.C., a position he held until 2013. “One of the major focuses of my career has been convincing people in my field as well as in general pediatrics not to order so many tests; to use clinical judgement first then testing secondarily to confirm suspicions but not to order a whole panel of tests when the chances of finding something useful are low. I think that part of professionalism is to be good stewards of public resources and recognizing that we have a responsibility to deal with this issue of rising health care costs and that professionalism doesn’t always mean always doing what the family wants. That’s a key problem that we sometimes face. You can’t keep every patient or parent happy. You have to explain to them why you don’t think that this test is necessary and why, for example, you don’t believe that treating mildly short kids who are healthy and growing at a normal rate is a good idea. In some cases the kids are unhappy, and in some cases, the kids aren’t that worried and the parents are pushing it, so why do you want to make this child feel inadequate? It’s a delicate balance, but part of being professional is to realize that our job is to triage. We have to be able to distinguish between patients who are healthy and just need reassurance and the smaller number of them who clearly deviate from normal who need the full testing and possibility of treatment. When I heard about the Choosing Wisely campaign a few years ago, I thought, ‘Well, at least people are doing something to try to address the issue of overtesting.’ I really decided to become active a couple of years ago in 2014 after I was diagnosed with myelodysplasia. In early 2016 I talked to Dr. Karen Remley, the new CEO of AAP, and a few other people and they thought it was a great idea. I have since used my days off as a time to push forward. My partner in the AAP, Julie Ake, and I email each other and have phone conferences to identify which groups are moving ahead, which groups do we need to give a nudge to, which groups aren’t interested. I have also attended either in person or by phone many meetings of AAP specialty sections to offer my help, and we’ve been doing that for about a year and a half. Another thing that I did is back in 2015 when I knew that my transplant had failed and that my long-term prognosis was not good, I got the idea of funding an endowed lectureship that would be sponsored both by the AAP and the Pediatric Endocrine Society. 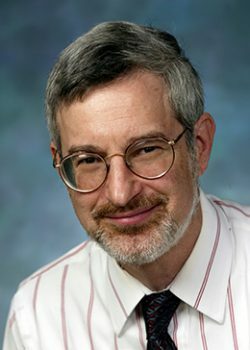 At the Pediatric Endocrine Society meetings that take place every spring, they now have the Kaplowitz Lecture for Cost-Effective Care in Pediatric Endocrinology, which gives a monetary award and pays expenses for the selected person. We’ve had two Kaplowitz Lecturers, one in 2016 and one in 2017, that have been very well received by our membership. I’m pleased that Choosing Wisely has given a structure to the goal of reducing unnecessary care. My one concern is that there are a whole lot of physicians out there that haven’t heard of us, including many people in my field of pediatric endocrinology, many of whom are concerned about medical care costs. So I think somehow we need to figure out ways to make this initiative more visible. Interested in being featured in Profiles in Professionalism? Send us an email.